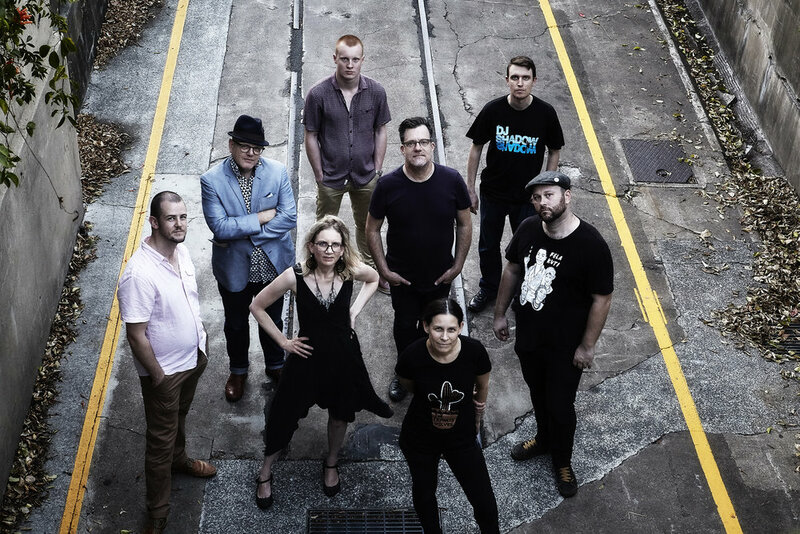 The Francis Wolves are an 8-piece instrumental garage soul juggernaut from Brisbane, Australia. It’s true, the FWs aint your typical suit wearing funk band: their style is a melting pot of genres, delivered via an ‘all in’ fuzzed out wall-of-sound. Ferocious horns and a brooding rhythm section matched by ominous organ and infectious congas will transport your very being to a Sergio Leone film set by way of the dance floors of Africa. The Francis Wolves’ debut album graciously tips it’s hat to the Budos Band, Fela Kuti, The Stooges, Link Wray and even the B-52s. Producer Donovan Miller (FOREVR/No Anchor) captured the raw sounds of the FWs in the studio, producing 33 tight minutes of grimey, sweat inducing grooves that will leave you loose and wanting more. After selling out their first release, a double A side 7inch single and playing a smattering of shows throughout Australia, The Francis Wolves’ debut album has left it’s mark; melted faces and new fans.